Trump woke up this morning with a strong urge to tweet irresponsibly, and one of those tweets was directed at Arnold Schwarzenegger, who recently announced he was leaving The Apprentice. I think this is a very cute burn! Maybe that's just because I'm imagining it said in Schwarzenegger's lovely Austrian accent. It's also funny that Schwarzenegger mentions hiring a "joke writer," because it doesn't appear to me that Trump thinks any of his tweets are humorous in nature. But maybe I'm just not Trump's intended audience. 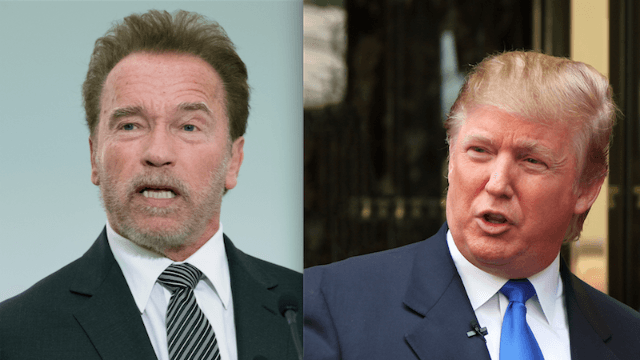 I wonder if Trump is just mad that Arnold did the whole celebrity-turned-politician before him, and managed to do it without causing the apocalypse.